The VBA routine replaces area load with a group of closely spaced point loads. The stresses due to individual point loads are calculated using theory of elasticity equations developed by Boussinesq and then integrated. 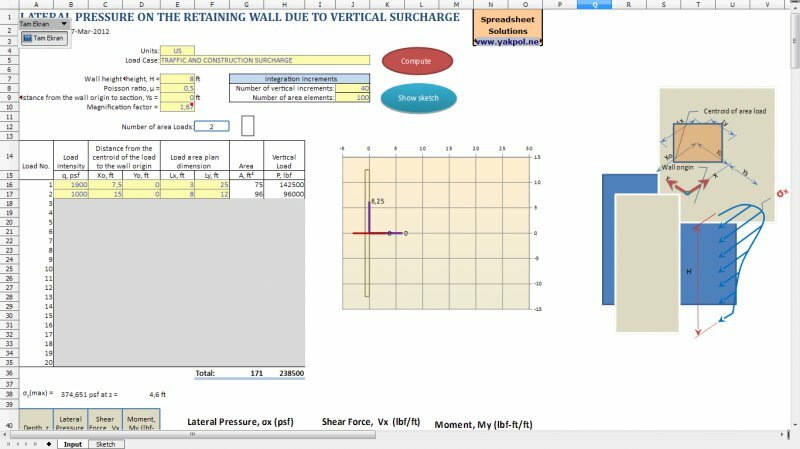 Subsequently, the spreadsheet calculates shear force and bending moment diagrams. 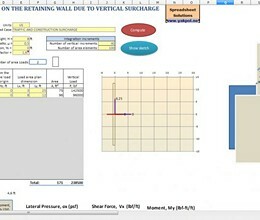 * Surcharge Earth Pressure download link provides freeware version of the software. No one has rated Surcharge Earth Pressure yet. Be the first to rate this product.